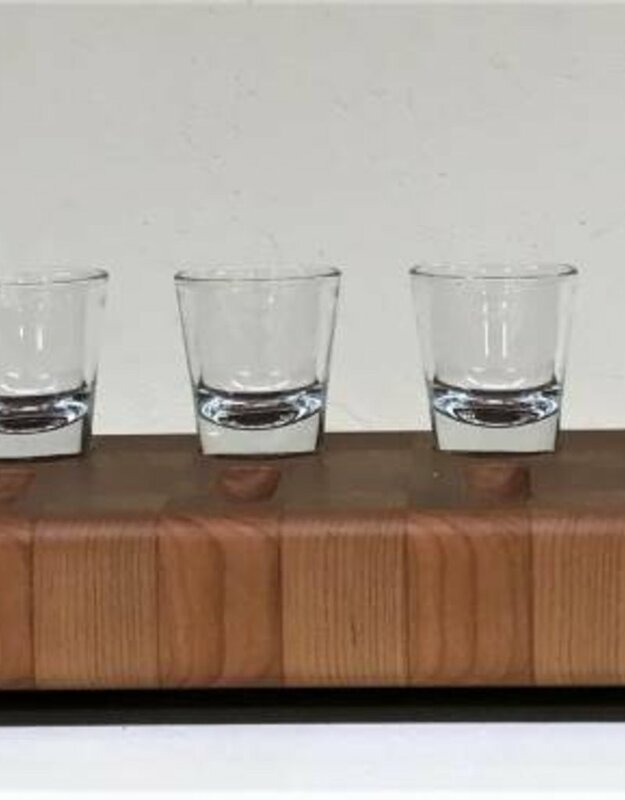 This hand crafted Shot Glass Server is the perfect gift and a beautiful addition to your home bar! 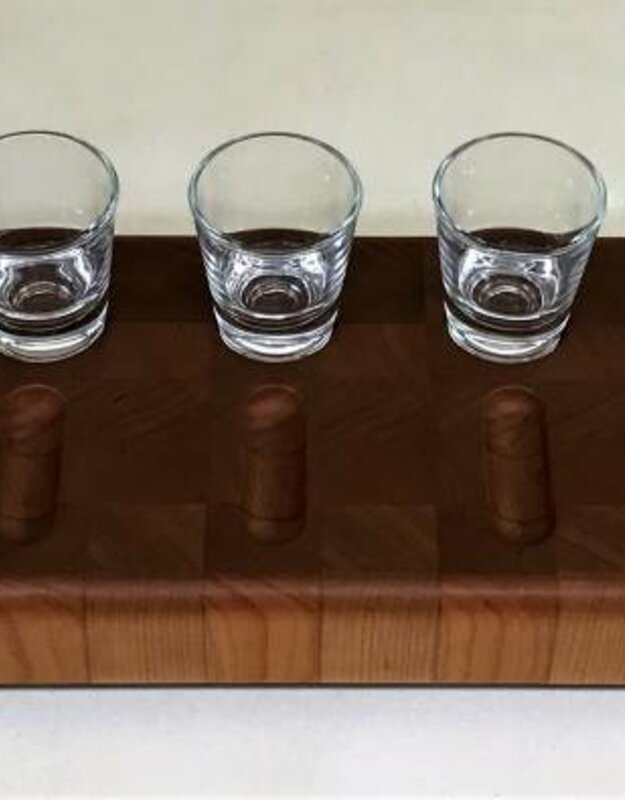 The board is available in end grain walnut and cherry and handcrafted exactly as our beautiful end grain cutting boards are. 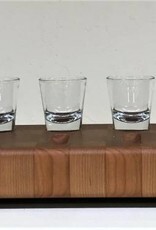 The side of the board is for cutting your lime and the slits in the wood are perfect for holding your lime slices. What a great addition to every bar! 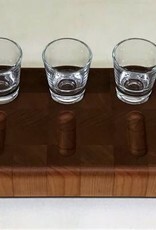 Cutting Board is Hand crafted in Door County, WI USA. 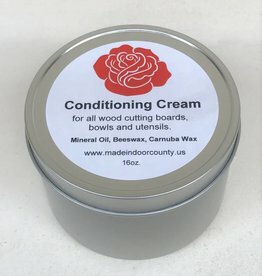 Don't forget wood conditioning cream to keep your board looking amazing!